Jimmy Kimmel is hosting the Oscars this year — and understandably, the pressure is keeping him up at night. The late-night talk show host also said that his fear of failing on Hollywood’s biggest night in front of its brightest stars keeps him from procrastinating about what he’s going to say. 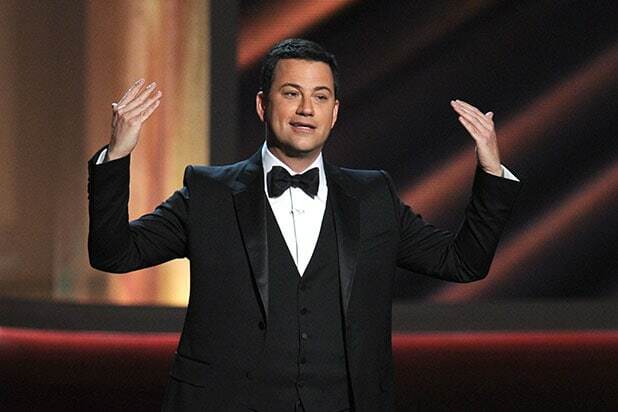 However, writing of the opening monologue Kimmel’s first time hosting the big show is far from finished. One thing Kimmel can promise for this year’s Oscars is that his mom won’t cook for the audience, after she was enlisted to make thousands of peanut butter and jelly sandwiches at the Emmys last year. “I’m going to give my mother the night off,” he said. 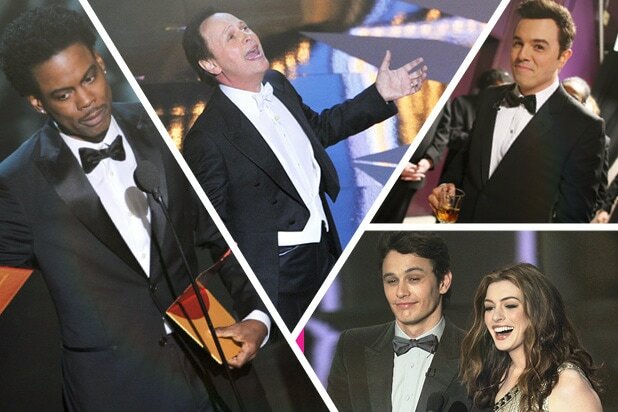 The 89th Academy Awards will take place on Feb. 26. Read TheWrap’s Q&A with Kimmel below. TheWrap: How are you feeling about the Oscar hosting gig? Jimmy Kimmel: I’m a ball of anxiety, I don’t get excited for anything other than fishing — but I want to do a good job and as a result of that, I think about it all the time. I dreamt about it all night on Saturday, which was not good, it was more of a nightmare than anything. Is it different than preparing for the Emmys? Not really, it’s kind of the same thing. In a way, there’s less pressure because I just did it [the Emmys] and it went well so I feel confident, but there’s also more pressure … because I just did and it went well. So I figure, what are the odds that it goes well twice in a row? I don’t look at any of this stuff optimistically, I don’t have what you have a call a sunny disposition. Will your mom cook again? My parents … I told them the other day, they should find something to wear for the Oscars and they were shocked! My mom said, “I just assumed we wouldn’t be invited!” And I said, “why would you assume … you’ve been invited to everything I’ve ever done.” I’m going to give my mother the night off [cooking]. She’s coming, yes. Failing. In fact, I worry about that every day. It’s what drives me more than anything. When I’m writing the monologue, the fear of failing is why I never get writers’ block or why I don’t procrastinate because I know I have to walk out on the stage and be funny. Even if I do like a speech or a toast at a dinner and it doesn’t go well, it haunts me. I take everything seriously. I start worrying on Wednesday and I will not have a drink until the toast is done. It never goes away, it’s a terrible thing. Do you think there’s been an improvement in #OscarsSoWhite? I think it depends on who gets nominated — I think we are assuming that those films and those actors get nominated [“Moonlight,” “Fences”] and if they do, I think that goes a long way. But if they don’t, it will actually get worse. I think ultimately, what you hope is that there are enough opportunities for actors. This has nothing to do with awards … I think people are unfairly focusing on the Oscars when really, there should be a focus on how many opportunities there are in acting itself. And that’s where I think a lot of work needs to be done and the rest follows. I know you loved “Moonlight.” What was your favorite part? Did you get into any trouble for sharing your Oscar pay? No one said anything! Nobody ever told me not to say anything about it, so I always figure then it’s their fault if I didn’t know. It’s a weird thing to keep secret. I understand if you keep your pay secret when it’s a lot because you don’t want people to hate you, but … I mean, not that $15,000 isn’t a lot but there is a lot of work that goes into it. I think people seem pretty happy that I’m not making that much money. Are you happy that your nemesis Matt Damon didn’t get the hosting gig? Is this feud ever going to end? When one of us is dead, perhaps. Maybe when we’re both dead. So you’d never host the Oscars with him? Oh no, why would I associate with someone like that? Is there anything you know you have to be sensitive about this year while hosting? Sensitivity is not my strong suit. No one has ever accused me of being too sensitive. There are things that are off-limits but I just can’t think of any right now. There are things outside the bounds of good taste, but I get a thrill out of edgy material. At the Emmys, I introduced Bill Cosby as if he was coming out, just to see what the reaction would be. And that was my favorite part of the show. People didn’t know what to do. They were frozen – they were used to clapping but people didn’t know what to do. It was fun — I was watching from backstage to see what everyone’s reaction was. What movie do you hope gets its deserved recognition? There are a lot of good movies — I don’t think it’s my place to say what movie I hope. I just hope Matt Damon loses — that’s my number one thing. There are a lot of deserving winners, but there is only one deserving loser.